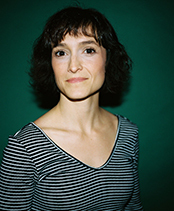 Mimi Cave is a filmmaker, choreographer and writer based out of Los Angeles. Her work combines arresting art-direction, authentic natural performance, spectacular choreography and a mischievously off-kilter sense of fun. Extensive training as a dancer led her choices as a director. She inevitably turned to directing music videos, helming films for Vance Joy, Danny Brown, Sleigh Bells, Lunch $ Lewis, Sylvan Esso & Tune-Yards. In dance, she specializes in structured improvisation, extracting in-the-moment performances, building partner work and knowing where to compose body in front of camera. She has built movement for her own films as well as directors Terri Timely, Tabithat Denholm and The Dads. Working with an array of celebrities, she’s known to make everyone on set feel at ease with an approach towards fun unlike other directors. Her shorts and music videos have premiered on Nowness and at film festivals worldwide, including the Los Angeles Film Festival, the San Francisco Intn’l Film Festival, SXSW, the UKMVAS and the Denver Intn’l Film Festival, to name a few.